To make sure you get the best deal we'll show you great prices from all of our drivers, including Baz Man And Van , if they're available on the day of your move. Have a question for Baz Man And Van ? No problem, send them a message and they'll email you back as soon as possible. If you have a more general question you might find it answered in the FAQ, or you always contact one of our brilliant customer service team. * Baz Man And Van won't be able to see your email address. Absolute top man. Excellent service, experienced at his job, great chat, safe driver, fantastic experience. This is the only man you want to use. Baz was incredibly friendly and helpful. He arrived early and made us feel very welcomed and made the whole moving experience fun for us. We had a lot of things to move and i worried it wouldn't fit in his van, but he very professionally managed to fit it all in 1 trip, without damaging anything and very efficiently. Outstanding service. Baz was extremly helpful, friendly and professional, going the extra mile to meet all our needs and requests, always with a smile. Thank you Baz! He was so helpful and cheery! Baz and Mo are legends! Baz and Justin were absolutely fab, very friendly and speedy - made my move a lot less stressful than it would have been without them. Thanks so much! Baz was friendly, helpful and very respectful of all our belongings. 100% recommend! Very good job! Baz was easy to communicate with, and made sure that I had all my items at the end of the move. Will look to use him again if needed. Baz was absolutely great - incredibly helpful, quick, on time. Would definitely use Baz for the next move! The move went very smoothly. Highly recommended. The service was fantastic and they went above an beyond. I would recommend to all and 100% use again for my next move. Baz was super helpful and kind which made my day. The move was done quickly and without any problems- all of my stuff was handled carefully. Thank you! Baz is a top man. Good service. No probs. Baz called well in advance to let me know he was running late, very respectful of my belongings, the move was incredibly smooth! Fair and honest driver - I would 100% recommend. Baz was great. On time, communicative, courteous, considerate. Strongly recommend. Despite a small delay of which the driver informed us promptly the service was GREAT. Efficient, fast and knowledgeable driver who managed to fit everything in in one go despite the many pieces of furniture, mattress, 2 sofas and multiple boxes. I would recommend him to everyone as he truly made our moving experience much more relaxed and pleasant. Thank you again! Very nice man. Brought another man for extra help. Moved me very quickly and took care of my items. Would book him again. Very clear on arrival and very pleasant. Would definitely recommend Baz, top man. Baz was absolutely brilliant. Quick and easy. Would very happily recommend him for any move. Baz was really efficient, arriving early and completing the trip as quickly as possible recognising our keenness to get to our home especially as it was the evening. He was very efficient and friendly, a great help for a smooth house move. Thanks! Bae was absolutely amazing. Couldn’t recommend more and can’t thank him for the trip. Baz was really friendly and easy going and made moving far less stressful. We had to make an additional stop and he was very flexible and accommodating. Will definitely use him again! Thanks! Bas was so helpful. He went above and beyond. Genuinely decent guy. Really efficient. He was very nice however the cost of the service went above and beyond so I won’t be looking to use again. There were a few things I was not happy with. He was absolutely amazing! If I need to move again, I will book directly with company. Really reliable and efficient. I will definatly use again. I had a last minute logistical nightmare and thought it was going to be impossible to organise but Baz was fantastic, taking a pragmatic approach to my totally unorganised plans and ensuring everything came together. My move went smoothly, excellent service at such a reasonable price......something thats getting harder to find these days. Baz was really friendly, professional and got the job done quickly. Great move! Excellent service, driver and helper were really friendly and were willing to do whatever they could to help. All of my items were handled with care and there were no breakages. Made the experience of moving a lot less stressful. Would definitely recommend! Unexpectedly he came with another assistant which made the move smoother as he advised it would be as opposed without the extra man. It was easily done within two hours. Very efficient, chatty and stress free. Highly recommended. Lovely guy, really chatty and friendly. Made the move stress free and enjoyable even! Would definitely recommend. Baz was great. Very helpful and friendly. Very helpful and Friendly, would recommend. Baz was great - really helpful and knowledgable about how to move furniture around. I would definitely recommend him and use him again! Baz was great, friendly and efficient. I just wanted to say my man with the van was very helpful he help with taking my wardrobe apart very patient outstanding work!! Great service from Baz (and his mate Mark). Highly recommended and would definitely use again. Thanks! Brilliant service. Very friendly and helpful driver. Many thanks to him. Baz was great! Everything went really smoothly. I would definitely use Baz again and would gladly recommend him to everyone I know. Thank you for making moving less stressful. A pleasant experience and went very smoothly. I recommend Baz, he was great and helpful. Baz was incredibly professional and also have great sense of humour! He handled all the items very carefully and everything went very smoothly. Highly recommended! Good driver, on time and very respectful. Baz was extremely helpful during my move, and even brought a friend along at no extra cost to help load and unload the van. They were both very polite and careful with my items, and went out of their way to help. The move went very smoothly and I would highly recommend!! Arrived dead-on time and was really respectful and friendly throughout. Very highly recommended. Thank you! Although a little bit late from a previous job, I was kept fully up to date via phone and I got an extra person helping which was great. Very friendly and efficient service, highly recommend. Absolutely Gentlemen! Was attentive and provided a 5 star service! Highly recommend if you're looking to move and need some expert assistance. Cheers Baz! Above and beyond. Very helpful. Great service. Thanks very much! Baz was absolutely wonderful, punctual, helpful and incredibly friendly. 10/10 would recommend to anyone. The driver call in advance to say he will be running late and that made me felt that my hire was appreciated. When he arrived he apologised for being late and got the job done. A very polite and professional man. Would recommend him highly. Baz was great, really friendly and called ahead to say he was going to a be slightly late so we were kept informed. Great service. Baz made our move very easy and much quicker than we had anticipated. He was very organised, respectful and reassuring. We would definitely call him to the rescue again! Baz called me before arriving and was very punctual. He packed both the van and my storage room which I was moving into which was extremely helpful. Overall, a great driver who is fantastic help - would definitely recommend his services! Baz was later than planned but he called me to let me know so no issue. He was really quick and efficient with both packing and unpacking and took care of my things. Would definitely recommend. Fab service! Everything fitted into the van perfectly with a lot of thought and care put into it! He was slightly late but he rang to let me know he would be in advance, and said he was bringing a colleague with him to help on the job for no added cost. Would definitely recommend. Fantastic service. Quick, efficient and knowledgeable! Will definitely recommend. Top class service and a real gentleman. Would highly recommend Baz! Would definitely use Baz again. He was extremely helpful and careful with my things. He strapped up the fragile items in the van and helped carry and move everything. Much appreciated! The driver and helper were on time, and moved everything in no time! Totally recommadable. Very helpful and friendly, Baz clearly has a lot of experience moving. Would definitely recommend Baz to others and and use him again! Kept us informed of progress on the phone. Baz was phenomenal during my move. He was good natured and incredibly helpful at all times. He clearly loves his job and takes great pride in the quality of the service he provides. I couldn't recommend him any more. An excellent choice and no regrets. Basically, Baz is the man.....super friendly, super efficient and very hard working, can't recommend him enough. This is the man to book for a stress free move! Baz was great. Really helpful and nothing too much trouble. Would use again. He was a bit late, but very kind and professional! excellent service from Baz. Helpful and polite. Recommended. Baz was so helpful, made the move so much easier than we thought it would be. Lovely man too. Thanks Baz! Brilliant service - Baz is really friendly guy and very helpful , couldn't rate his services highly enough! I will definitely be using him again. Baz was great and was such a big help with everything. I would highly recommend him to anyone. Very fast loading and unloading. Extra man with no additional charge. Very nice guys. Great experience! Baz and Justin were incredibly helpful and careful with our items. Very experienced and professional. I would highly recommend them to anyone. Baz was fantastic and really made our move a very easy one despite having to be picked up at IKEA and then two other properties before dropping us at the new flat. He brought along an additional helper (we did not request but offered to help free of charge) which was very generous and a massive help. He was polite, professional and very careful with all our belongings. 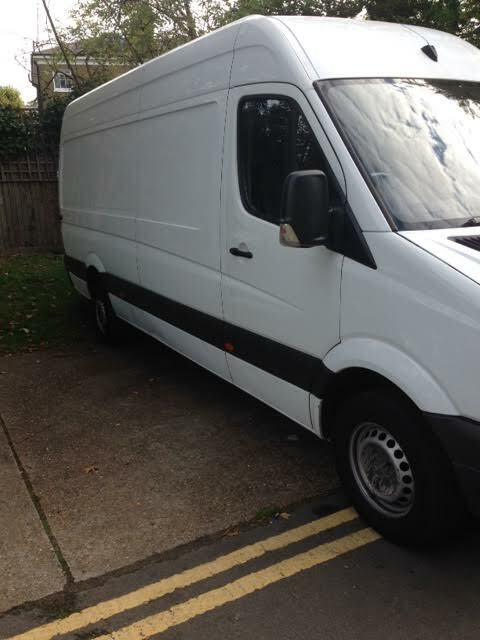 Would recommend to anyone in need of a man and van. Didn't let me know he was going to be 15-20 mins late. Arrived with a helper which he didn't charge extra for. My move went very well and, even though I was very stressed (for unrelated reasons), my driver handled it wonderfully. He helped as promised and t the destination didn't leave until he made sure all was well. Very professional, excellent service, happy to recommend to my friends. He was a lovely driver, was there on time and accommodating to all my extra requests! I would definitely recommend him to anyone looking to move. The driver was very friendly. We will use him again! Babar was really friendly and helpful. I would recommend him to anyone wanting to move. Mehraj was incredibly nice and helpful, and very careful with handling all our belonging. Really recommend him for a smooth and enjoyable move! Our driver was phenomenal, truly went above and beyond to help us make this day as stress free as possible. So thankful for his help! Nice guys, very helpful, arrived at the new place with plenty of time to spare and all in one piece. Thanks! Russel was amazing! SO kind and did a wonderful job! Loved having him help me today!!! Really great service!! I cant say enough about how kind he is as well! Excellent work - would use again! As a young girl and a first time solo mover, Babar took away the stress and any worries I had. I booked for no help (underestimated volume), yet he went above and beyond to help me - even carrying boxes up stairs! I would highly recommend Babar to anyone and will certainly be using him again for my next move. Driver was really friendly, helpful and patient. Great service! Really helpful. Great guy. Would use again. Did minimal work , was rushing us to leave before time expired but got the job done in the end. Not the most pleasant experience but not the worst either. Not extremely strong men so defy not useful for big moves. Driver arrived 2 hours late, they arrived at 1pm for a 11am pick up. They were apologetic and reported that they had put thier van in for a service this morning and it took much longer than expected. Otherwise everything else was good. Driver was very nice and helpful. Excellent service! Babar is a great guy. Really pleased with the way he handled our possessions. Will definitely use him again if the need arises. Baz was super friendly and helped transport all my belongings safely. Would definitely use again. The driver was very professional and helpful. He made everything easier. For sure I will book with him next time I move. Cool guy man highly recommend !! Best man and a van ever. Baz made the whole move very easy. We recommend! .excellent customer service! Well done! I have been impressed..
Babs was so lovely and efficient. He communicated with us in the afternoon and helped us put stuff in and out the van. He was lovely and chatty and was just all round a lovely guy! Would 100% recommend and would use again if we need to move! Great value, two men for the price of one and they were early for 7.30am! Friendly and chatty, efficient and careful, professional with excellent work ethic. Would definitely use them again and highly recommended! Very glad I chose Baz, thanks for an excellent move! Move went smoothly . Helpful, friendly service . Will definitely use again. Highly recommended . Baz was an excellent driver for our van move. He arrived 10 minutes early. His van was really long and large (equivalent to a Luton van) and complete with straps and blankets, though we didn't need to use those as everything was packed in tight. We didn't believe all our stuff would fit in, but somehow he made it happen! He must be an excellent Tetris player! He was careful of fragile items like our TV and boxes marked fragile, and made sure to load our furniture in quickly to avoid any rain damage. He had a trolley for carrying boxes from the flat to the van, which he had to park across the road because we don't have any parking. His driving was excellent and he worked quickly and competently. A great guy, very professional and thoroughly recommended! He was brilliant! Made sure the van was loaded correctly so we could fit all of our things in and drove really carefully to make sure nothing happened to them - very nice guy and I can't recommend him enough! Fantastic service, made me feel at ease. Would highly recommend! Baz was amazing! I would highly recommend him...he arrived early, packed the van expertly (i was amazed all my stuff fitted in), was super helpful and also just a really, really nice guy. Had an enjoyable morning hanging out with him and Mo, thanks so much! He was very help helpful in loading the van, respectful of our property and we had a lovely chat during the drive. Great experience. Baz was cheerful and helpful and on time. Perfect! Our driver was friendly and very helpful. He assisted us all the way and did everything with a smile! Would surely use again and recommend. Fantastic and friendly driver, highly recommended. Thank you! The driver was perfect, he gave us amazing assistance on both ends of our move, drove very carefully and after being packed so well our items did not shift. He was pleasant, friendly and we knew we were in good hands. Very efficient process, thank you. The driver, Bazz, was extremely helpful & pleasant. It was fun taking to him while waiting in traffic. I will definitely use your services again & I will recommend you to friends & colleagues. Good service and friendly. I would book them again. Babar was lovely and very helpful. Highly recommended! Babar was extremely helpful and friendly. Please convey our thanks. Perfect! 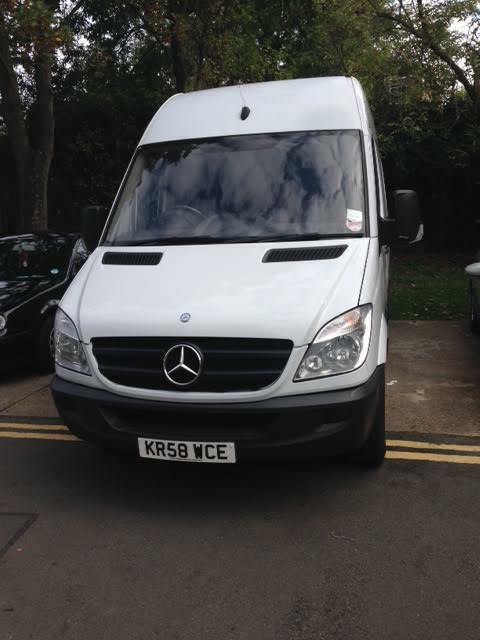 The driver arrived early was very polite and helpful - brilliant service will use again! Also happy to recommend to friends and family . Babar was on time and provided me with assistance even though I didn't originally request for it in the booking. Overall, a brilliant service and the most respectful and friendly person I've dealt with for a long time. Babas was an absolute pro, so helpful, efficient, and unobtrusive. We contacted him at very short notice to ask for an additional man, and he sorted this out immediately. a real diamond, will definitely use again next time I move. Top man! 10/10 would hire again. Babar was a complete legend! Perfect. Will use again and will recommend. Thank you! Driver was very helpful; my move turned out to be a bigger job than I expected, but driver had no complaints and helped me out a lot with moving a large load across London. I highly recommend this driver. Very nice guy this driver, very helpful, arrived before time. I would recommend ( I had to move out a few times this last year and this is the best driver I had ). Perfect. The driver was really sympathetic. Great Service! The driver was friendly and well equipped. Driver was great, arrived early and was so helpful, and very friendly. Would recommend. On time and very helpful moving and all around great guy. Would recommend for future use.